Founded in 1955, the Young Musicians Foundation was created by child piano prodigy Sylvia Kunin alongside legendary cellist Gregor Pitatagorsky and composer Elmer Bernstein in order to provide musical education to the youth regardless of social or economic background. Over the last 60 plus years, YMF, partnering with the Debut Chamber Orchestra, has premiered over 43 pieces, featuring the works of Aaron Copland, Igor Stravinsky, Ingolf Dahl, Michael Torke and Paul Chihara, among others. 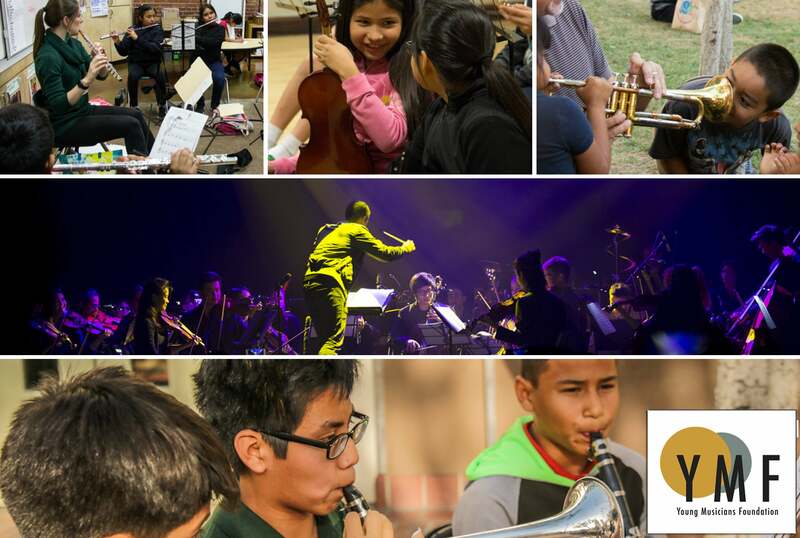 The group has a lead on the educational front by establishing programs such as the Musical Encounters outreach program bringing high caliber classical music performances to elementary schools throughout Los Angeles, since its inception in 1975. Over the years Musical Encounters has grown and evolved to add instrumental, vocal, and general music instruction, and has expanded its outreach to include middle and high schools as well. The group also offers a series of scholarships to students specializing in certain instrumental careers, such as the Uan Rasey Memorial Scholarship for Trumpet. YMF currently serves over 2,000 students from pre-K to adult, helping those in low-income neighborhoods all over LA county, areas such as Downtown, South and East Los Angeles, Koreatown, Pico-Union, Baldwin Hills, Lawndale, and Lennox. Of those students, 90 percent qualify for reduced-cost lunch programs, and 93 percent come from Latino backgrounds. The hiring process for YMF teachers is rigorous as well, as musicians must have a minimum of a bachelor's degree in music and are hand-selected through an interview and audition process, ensuring that students receive the best musical educators they can get. Organizations like YMF helps young children with little resources discover their love and talent for the arts at a young age and gives them the means to pursue their dreams in the arts. As Emma Stone said during the HFPA Grants Dinner in 2016, "starting to do theater when I was 11 changed everything for me." The continuous support from the HFPA over the years has helped YMF achieve their goal of "providing access to exceptional music education, and helping strengthen the communities we serve through social, cultural, and intellectual engagement."